It started innocently enough. A couple years ago I was sitting in the children’s oncology ward at the Lausanne hospital feeling bored. Yep, that’s right, cancerkids and boredom, two terms not generally associated with each other. But there I was, sitting there as the red devil, also known as doxorubicin, was being slowly pumped into my 4 year old son’s body. Generally, childhood cancer is a bummer. It really tends to throw a damper on things. You will note that I tend to write with a bit of sarcasm and a lot of irony. But the odd thing was that even though I wrote about a sad subject, I often found I needed to write something funny. Funny things happen all the time. Well, at least around me they do. For example, when Elliot managed to grab the syringe full of medicine away from the nurse during one of our heated battles to try to squirt it into his mouth, and sprayed its contents entirely around the hospital room (including on the nurse), there was an element of funny to it. Not everyone was laughing. But it was funny later. Much, much later. So basically, this blog will be the funny stuff. The fun stuff. And maybe sometimes the regular stuff too. 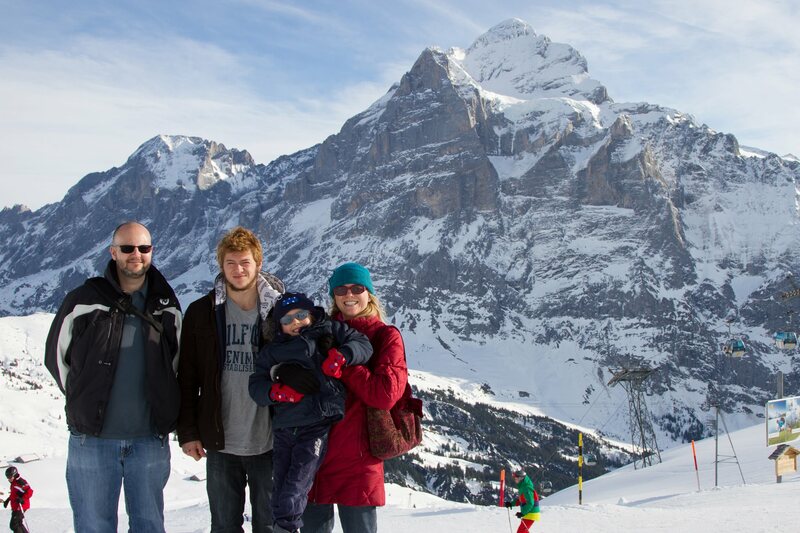 About life as a Canadian in Switzerland married to a Dane. About being a mom to three boys. About juggling between my roles as a mom, wife, childhood cancer advocate, air traffic controller, and michelin star chef. Oh I may be exaggerating again there. I will write in English. I may translate to French, if I feel up to it. I may also just write in French and not translate to English. Or maybe I will. I don’t know, there are no rules here! Oh hey, maybe I should attempt to write an entire blog article in Danish? That would be quite the challenge. The point is, you may find that you have to copy and paste an article into Google translate if I haven’t written it in the language of your choice. And since generally that will give you a result that is much funnier than the original, I consider it a bonus. Hi, Nicole: I just read your new Alternative Facts piece on HuffPo – well done! We need plenty of humor these days as parents and people in general! I’m reaching out to offer myself as a source for you in future articles. As a longtime middle school teacher and author of Teaching Happiness and Innovation, my focus is on helping parents lower their stress by teaching happiness habits at home. My work has appeared in the Washington Post, Huffington Post, Christian Science Monitor, etc. If you’re interested in writing about ways that parents can teach happiness to help kids and themselves have lower stress, more optimism, and better health, I’d love to help out. You can check out my media appearances here – http://www.happinessandinnovation.com/media. Take care!